Scandium is present in most of the deposits of rare-earth and uranium compounds, but it is extracted from these ores in only a few mines worldwide. Because of the low availability and the difficulties in the preparation of metallic scandium, which was first done in 1937, applications for scandium were not developed until the 1970s. The positive effects of scandium on aluminium alloys were discovered in the 1970s, and its use in such alloys remains its only major application. The global trade of scandium oxide is about 10 tonnes per year. The properties of scandium compounds are intermediate between those of aluminium and yttrium. A diagonal relationship exists between the behavior of magnesium and scandium, just as there is between beryllium and aluminium. In the chemical compounds of the elements in group 3, the predominant oxidation state is +3. Scandium chemistry is almost completely dominated by the trivalent ion, Sc3+. The radii of M3+ ions in the table below indicate that the chemical properties of scandium ions have more in common with yttrium ions than with aluminium ions. In part because of this similarity, scandium is often classified as a lanthanide-like element. Scandium and Yttrium. Springer. ISBN 978-0-306-45657-2. ^ Haley, Thomas J.; Komesu, L.; Mavis, N.; Cawthorne, J.; Upham, H. C. (1962). "Pharmacology and toxicology of scandium chloride". Journal of Pharmaceutical Sciences. 51 (11): 1043–5. doi:10.1002/jps.2600511107. PMID 13952089. Scerri, Eric R. (2007). The Periodic System: Its Story and Its Significance. Oxford, UK: Oxford University Press. ISBN 9780195305739. OCLC 62766695. Look up scandium in Wiktionary, the free dictionary. Wikimedia Commons has media related to Scandium. 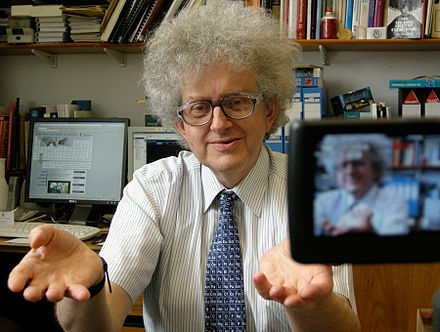 The Periodic Table of Videos (University of Nottingham) WebElements.com – Scandium "Scandium". Encyclopædia Britannica (11th ed.). 1911.